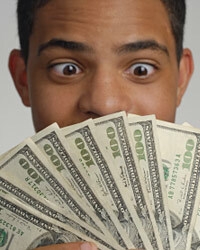 When dealing with student loans, it is important for you to make your monthly payment on time. If you do not make your payments, you will have to deal with a number of consequences. Here are some of the short-term consequences of missing student loan payments. One of the short-term consequences that you will have to deal with is paying late fees. Whenever you do not make your payment on time, the lender is going to assess a late fee. This may not seem like much money at first. However, if you make a habit of this, the fees can add up significantly in a very short period. After you have missed a few payments, you will undoubtedly start to get collection calls from your lender. These calls will be from agents that work for the company. They will be attempting to collect the debt from you. They will call you throughout the day until they can get in touch with you. Once you have missed a few payments, the lender is most likely going to report this to the credit bureaus. This will go on your credit report as a late payment, and it will start to lower your credit score.